Domiciliary care for your loved ones. 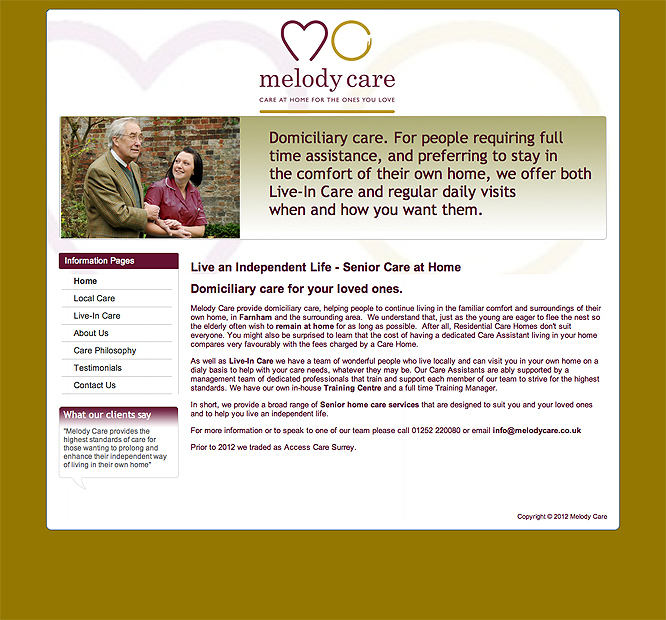 Melody Care provide domiciliary care, helping people to continue living in the familiar comfort and surroundings of their own home, in Farnham and the surrounding area. They understand that, just as the young are eager to flee the nest so the elderly often wish to remain at home for as long as possible. After all, Residential Care Homes don't suit everyone. You might also be surprised to learn that the cost of having a dedicated Care Assistant living in your home compares very favourably with the fees charged by a Care Home.